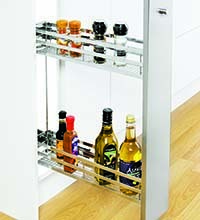 Pull out units operate across the same principle as kitchen larders, their shelving pulls out from their cabinet or cupboard, into your kitchen floor space. 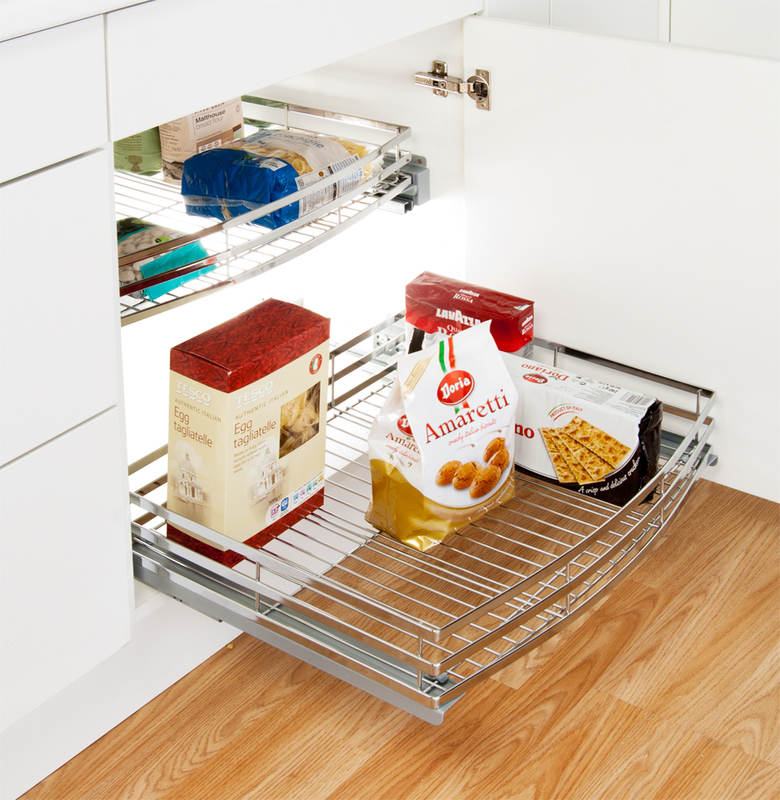 This simple action and the designs of the pull out units allow you quick access to a large storage area, which is perfect for kitchenware and foodstuffs. 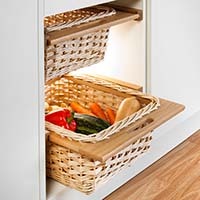 Pull out units can even deal with storing specific items, there are pull out units which feature draws which are designed to hold cleaning products, cooking utensils, bottles, boxes and even pots and pans. If you have any questions about our range of pull out units and how they can help you improve your kitchen – just get in touch.